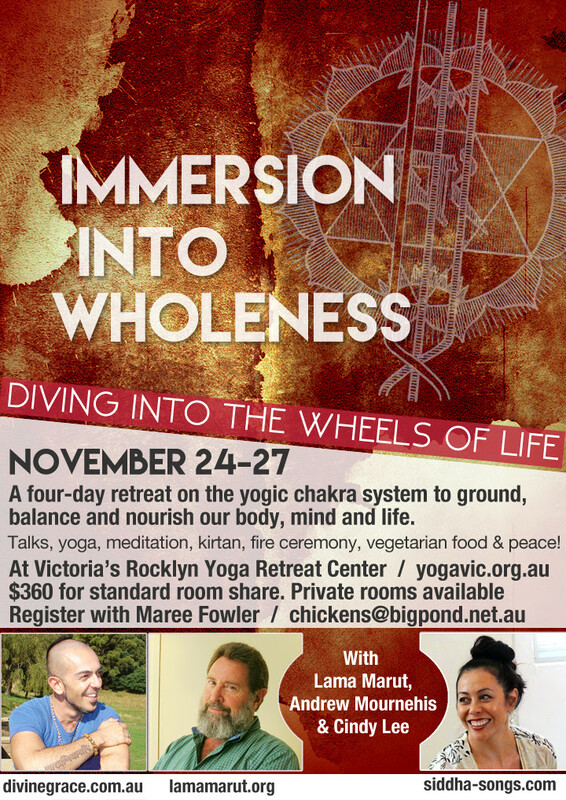 A 4 day retreat at the beautiful and peaceful Rocklyn Yoga Retreat Centre. Release old habits and grievances. Establish more helpful thoughts and actions. Philosophy classes, meditation sessions, yoga asana, fire ceremony, kirtan. Vegetarian meals, time for reflection, walks and discussion. Private rooms available upon request. Cindy has studied and practiced Buddha Dharma and meditation for 20 years, under the guidance of various teachers in the Gelug, Nyingma (Dzogchen) and Kagyu traditions of Tibetan Buddhism, initiated into Vajrayana and Dzogchen practices. She has also undergone intensive training in the classical texts of yoga and Hindu philosophy. After undertaking multiple solitary retreats of up to six weeks at a time, Cindy now teaches at group retreats around the world. In 2006, while working as an artist in residence at the 18th Street Arts Center in Los Angeles, Cindy met Lama Marut (Brian K. Smith) with whom she began collaborating in developing podcasts, websites, video broadcasts, books and graphic design. They are now married and live in rural Australia. They co-teach internationally with the intention of helping to ignite the universal wisdom of all authentic spiritual traditions in our daily lives. 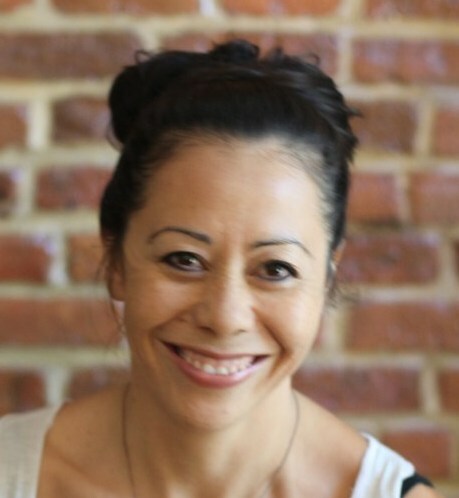 As an artist, Cindy’s teaching and practice has been inspired by creativity; utilizing mythical archetype and the power of storytelling, leading kirtan and singing, and recalling training in dance, martial arts and yoga to inspire an energetic, visceral approach that encourages embodied awareness and integration with our true nature. 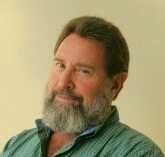 Andrew Mournehis graduated from the Phoenix Institute of Australia in 2001 with a very clear vision that his gifts and passions were best directed in the power of group, ritual, archetype, mythology and the potent healing energy that is exchanged in each others stories, both personal and Universal. Being an already established yoga teacher, he spent the next 14 years facilitating many healing groups, yoga workshops, intensives and retreats both nationally and internationally working with the healing potential of both Yoga and Transpersonal work. Having practiced Tantra Yoga for nearly 20 years, Andrew unites his diverse background and experience with Yoga, Transpersonal work, Mythology, Astrology, Dance and Yogic Philosophy to bring a rich and exciting view and perspective on this liberating art form and spiritual practice of Yoga. On my healing journey, there have been TWO GREAT LOVES – yoga and transpersonal counselling – and I love nothing more than to merge the two together to create multidimensional healing retreats. On this retreat we will be merging the yogic practice of delving through the Koshas and the transpersonal work of following Joseph Campbell’s archetypal Hero’s Journey to fully embody and “Live our Bliss” in the world. Set at the tranquil and stunningly beautiful Ananda Cottages, this retreat will take us on a journey to access that Bliss (Ananda), and then follow it, to live our Truth and inspire others. The Koshas or Etheric Sheaths are the layers of our Being from most dense to most subtle. As we move more deeply through these layers into the Hub, where our Deepest Love resides, we access a Divine Bliss, that is always present… never absent… and once accessed, we can follow this State of Being throughout our lives leading us to a Life of Unimaginable Joy. Annamaya Kosha “Human beings consist of a material body built from the food they eat. Those who care for this body are nourished by the universe itself. Pranamaya Kosha “Inside this is another body made of life energy. It fills the physical body and takes its shape. Those who treat this vital force as divine experience excellent health and longevity because this energy is the source of physical life. We are multidimensional creatures. Our awareness manifests on many different planes. Yoga introduces us to ourselves and trains us to live fully and gracefully at every level of your Being. By getting to know our five bodies and the Inner Self (whose awareness illumines them all), we can experience the health and fulfillment of an enlightened life. This comes not from intellect but through embodied experience… come share in this exploration… as we marry it with our very own Hero’s journey. The Hero’s Journey is a pattern of narrative identified by the American scholar Joseph Campbell that appears in drama, storytelling, myth, religious ritual, and psychological development. It describes the typical adventure of the archetype known as The Hero or Heroine, the person who goes out and achieves great deeds on behalf of the tribe, group or civilization. We all go through many hero’s journeys throughout the course of our life. The standard progression is that our ‘hero’ is in the ‘ordinary world’ feeling uneasy or uncomfortable, when he receives a call to adventure when something shakes up his situation. The hero then journeys through trials, rebirths, revelations and transformations before returning home stronger, wiser, or more powerful, always with gifts to share!!! ALWAYS more capable of living in a state of bliss with the treasures we have uncovered on our journey. Joseph Campbell would always invite us to “Follow Your Bliss”. We will be following our bliss together at the breathtaking Ananda Cottages in Ubud, Bali. Get in quick with EB and Save AU $200! Please let us know if you are vegetarian or have any special dietary needs that need to be catered for. Qualified Transpersonal Counsellor (Ikon Institute Of Victoria)Having practiced Tantra Yoga for nearly 20 years, Andrew unites his diverse background and experience with Yoga, Transpersonal work, Mythology, Astrology, Dance and Yogic Philosophy to bring a rich and exciting view and perspective on this liberating art form and spiritual practice of Yoga. As you prepare to take another step forward on your journey, I would like to extend this invitation, to retrace the steps that have brought you here, and embrace a rich and truly rewarding experience of self exploration and personal enquiry…Exploring your Life Purpose. When we choose to add Purpose and Meaning to our life, then we add a richness and depth into everything we share, touching those that cross our path. Through Svadhyaya (Self study) we are able to understand ourselves more deeply, our personal journey and the choices we make. There are several Universal Laws, which when we choose to follow, create a greater flow with life and the Universal Consciousness. One of these laws is the Universal Law of Dharma, and according to this law, we are all here in this life for a reason, and many of us may actively choose to discover and explore, what that reason or Purpose is. Each of us has something unique and special to offer the world and to offer ourselves, and it simply takes our conscious effort and awareness to begin to explore what our True Purpose in life is. This in itself is a choice. The Life Purpose Yoga weekend is designed to allow an introspective exploration of life, to bring a greater awareness to your unique life journey, with the aim of discovering and defining your Life Purpose. The weekend will itself involve unpacking your life, from your earliest memory to present day, exploring every significant milestone, exploring and unfolding everything that has affected you, changed you, shaped you and made you into the person that you are today. During the yoga sessions and weekend workshops I will aim to facilitate your process, and provide a supportive, nurturing and safe environment in which to explore your inner and outer worlds more deeply. Mapping of your life journey, bringing greater awareness to your cycles, habits and patterns. Looking at issue/s and areas of significance, and seeing how they relate to other significant areas of your life. Finding what strengths, gifts, talents, qualities, and possibly hidden resources you have to work with. Finding relevant and appropriate techniques, tools and modalities that you may wish to use to promote further self-discovery and self-awareness. Piece all the information together into a Mission Statement by which to live by. What you will gain from the workshop will vary, but if each of you takes just one thing with you to make a positive shift in your lives, in order to help yourself and others around you, then you will have ultimately GAINED. My role as facilitator is not to find the answers, or to claim to know the answers, but to guide and facilitate your journey of discovery during the weekend, assisting you in discovering, revealing and/or expanding your understanding of yourself, your life and the world around you. Your role as a participant of the weekend is to be as open and honest about yourself as you can, and be open to the process. Maitripa is the retreat centre for the Kagyu-E-Vam Buddhist Institute, set amongst the rolling hills in Healesville. It’s a great place to relax, unwind and enjoy getting in touch with nature in a peaceful setting. A place where you can simply Be. There are a few residents who will be around, so mindfulness of their home space would be greatly appreciated. Accommodation is quite simple, but all rooms have been refurbished with new beds, drawers and bed side lamps, linen, blankets…and Heating!! You can have the option of having your own room or sharing with another. There are several rooms to choose from so first to arrive will have first choice of rooms. A $10 key deposit will be required upon arrival for your room key, and will be refunded in full at the end of retreat when key is returned. Aim to arrive around 6 30 pm Friday evening for an evening meal, settling in and an introduction to the weekend and opening circle. Life Purpose Workshops, “Mystery” Workshop, all meals from Friday dinner to Sunday Lunch. All meals are vegetarian, please let us know if you have any other dietary requirements. “Who am I”, “Why am I here” and “What is my Purpose or Path in Life”??? Remember it has taken you a lifetime to get you to this point, so be patient and allow some time for the True Meaning to reveal itself. With continual mindfulness and reflection of the process after the workshop, you will discover and finally define your True Purpose in life. Experience a truly Incredible Yoga Journey with a dynamic ‘Yang’ class in the mornings & a beautiful, introspective “Yin’ Class in the evenings. Be led by two highly experienced Yoga Instructors, One a Tantric Philosophy Practitioner and One an Ayurveda Specialist. Both Teachers highly respected in their fields. Morning classes will be imbued with an immersion into the 7 Vital Energy Centres (Chakras) of The Body. The Chakras align with ganglions of nerves by which consciousness, a scientific term, enters the body. This prepares your body to play with the Sutras which in Sanskrit means ‘stitch’ – a thread connection or link. Sutras will be shared that are incredibly potent and have been passed down as virtues verbally through the Yoga and Esoteric traditions, and they stitch the physical body to the spiritual realm of infinite possibilities. Sutras, which are established in this state of awareness, set subtle intentions. The more subtle the intention, the more powerful it is. These sutras are one word intentions that were given to Michael Joseph verbally by Deepak Chopra himself at the Chopra Centre. There are 4 Sutras offered to each of the 7 Chakras, which are the junction points between our physiology & consciousness, and allow us to traverse into the deepest layers of our Being, to a place of Bliss, Contentment and Wonderment. Expect to leave our retreat feeling inspired, grounded & fully equipped to respond to life challenges in a new, more empowered way. Full Balance and Payments needs to be complete by Thursday 24th Feb 2017. PERFECT AS OUR FIRST PRACTICE AND OPENING CIRCLE WILL BE AT 6pm on the First evening of the 7th June, so please aim to arrive then. Please also note that Flights, Transport and Transfers to and from Santorini and retreat location are NOT included. “This is the third retreat that Michael and I will be co-facilitating in Europe and we are both thrilled to be able to share this with you again. Upon registration and deposit I will send through further details and list of things to bring.Numbers are VERY limited so early expressions of interest are absolutely advised!! 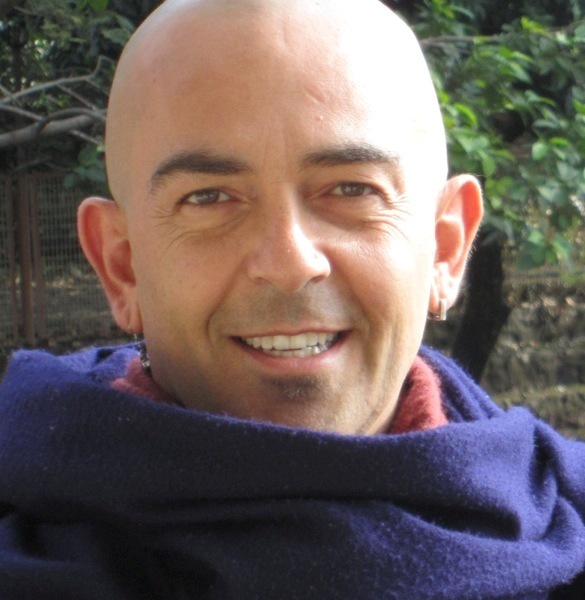 Michael Joseph is the founder of Deep Yoga Studio, The Deep Retreat, YogaLuva.com & has been in the Yoga & Health profession for over 16 years. Michael’s journey started as a massage therapist which he still enjoys today. An interest in his clients self care prompted him to become a Stretch Therapist & then finally became a Qualified Hatha Yoga Teacher, Aerialist & Chopra Ayurveda Perfect Health Teacher. Career highlights include working as a therapist at The Olympic Games & training with Deepak Chopra at the Chopra Center in the United States. Michael has a commanding presence & approachable manner. He uses humor just as much as confident, knowledge based instruction to relax your body & mind. Yoga Practitioners that come to the mat, come for a variety of reasons… many come to get fit, feel good and calm their minds… others to have some space to Be… a chance to have space for their Soul. Yet others come for deeper exploration so that they can Heal, and this healing may take many forms. Through a multitude of different healing practices that have been drawn from over 20 years experience in the healings arts including Yoga, Yin, Ayurveda, Chinese Medicine, Transpersonal Counselling, Art therapy and Dance Movt therapy, we will dive deep into our bodies, through the layers of our minds and into the more subtle layers of our Etheric fields. Through the five koshas, we can access one of the greatest healing resources within, far greater than any healing resource on the planet. – Afternoon/Evening Yin practice focusing on balancing, healing and nourishment meridians/organs through Chinese Medicine and Mindfulness Practice for self awareness training. – Night time Yoga Nidra to prepare to ground and prepare the body and mind for sleep and rest. This will be a retreat where students come away with many different healing medicines and tools to apply to the wounds both in the present and the future. Inclusive of 2 nights accommodation, All Yoga classes from Friday evening to Sunday noon, Meditations, Visualizations, all workshops and materials. ALL meals from Friday Dinner to Sunday Lunch are inclusive. Aim to arrive around 6pm Friday evening to settle in, choose a room, have a light meal at 6:30pm and Opening circle at 7:30pm. The hardworking resourceful Rooster is, observant, courageous, talented and extremely confident. He is vigorous, highly motivated and authoritative. Rooster is strongly principled and single-minded in pursuit of success, as well as diligent, intense, and unswayed by the opinions or feelings of others. Having said that, he is happiest when surrounded by others and being social, and generally enjoys the spotlight. This is your year to shine, to work persistently and joyfully towards your Highest Potential with passion, commitment, precision and skill. In 2017, Rooster calls us to confidence in our own abilities, power in our lives, and success in our chosen work. Under the influence of the Fire Element, Rooster invites us to be a Shooting Star, an inspiration to those around us, and a leader in our field. Even if we have gone through challenging times, we can rise like a Phoenix from the ashes to burn and shine more brightly than ever before! The Year of the Rooster is also one for good health. Rooster encourages being active, recovering from illness, and focusing on fitness, strength and optimal wellbeing. Give this as a GIFT to YOU to prepare for an SPECTACULAR year ahead. This always promises to be a beautiful, peaceful and tranquil weekend away, with like minded souls who wish to co- create their Visions with the Universe within, expressing their Divine Spirits through Yoga Practice, Meditation, Creative Activities, Workshops and of course designing and creating our VERY OWN VISION BOARDS for the year 2017. All in Beautiful Natural Surroundings. Aim to arrive around 6pm Friday evening to settle in, choose a room, have a light meal at 7pm and Opening circle at 8pm. Please let me know if you are vegetarian or have any special dietary needs that need to be catered for. In the yogic tradition, the inner “wheels” or cakras are power centers through which we can access different aspects of our psychological, energetic, physiological, and spiritual life. In this weekend retreat, we will get in touch with our psychic inner body in order to ground, balance, and nourish our lives. We’ll use lectures, meditations, chanting, music, yoga, and movement as the springboard for deep personal inner work and transformation. Andrew Mournehis, one of Melbourne’s finest yoga teachers, once again joins Lama Marut and Cindy Lee in a retreat that will offer different perspectives on the spiritual journey to peace, happiness, and connection to others. To register, contact Maree Fowler on chickens@bigpond.net.au! Get in quick!!! Bookings available Now. * Sustainable Exercise, Yoga & Diet Routine. A wonderful comprehensive booklet to take home filled with Ayurvedic practices, activities, foods and guidelines to support your specific Dosha to bring about Optimal Health. Days are free to travel, relax and explore the many surrounding sights. Flights recommended into Malaga or Granada. “This is the second retreat that Michael and I will be co-facilitating in Spain at the Hacienda and we are both thrilled to be able to share this with you again. Please email (see contact page) Andrew for a registration form. Full details for transfers will be on form. Such a Romantic Beautiful Place in the world …a place to restore with you, your friends and your loved ones!! This will be a holiday and retreat of a lifetime…one that will change the way you LIVE! The Chinese New Year of the Fire Monkey is one of opportunity, courage, inner strength, loyalty, commitment, cheekiness, inventiveness, hard work, devotion and the blessings of “lucky stars” to bring about Healing, Wholeness and a Recognition of Oneness. Symbols of Auspiciousness and Prosperity should be highlighted and a healthy balance between work and play should be sought after. TRANSFER DIRECT email Andrew via our contact page for a Registration Form and Bank Details. ENDS at 2pm on Sunday 7th February 2016Aim to arrive around 530pm Friday evening to settle in, choose a room, have a light meal at 7pm and Opening circle at 8pm.Please let me know if you are vegetarian or have any special dietary needs that need to be catered for. Upon registration and deposit I will send through further details and list of things to bring. For bookings, full schedule and registration please email Andrew via our contact page.